Russell Snyder ’54 recently received the Child Neurology Society’s (CNS) Lifetime Achievement Award for “his contributions in medicine and humanism as well as his outstanding leadership and service to the CNS and a lifelong career devoted to child neurology as a clinical discipline.” Snyder is an emeritus professor of neurology at the University of New Mexico and practices medicine in the university’s Neuro Diagnostics Clinic. Specializing in epilepsy, pediatric headaches, learning disabilities, and meningitis, he has achieved distinction in clinical research, publishing 77 papers in refereed journals of which he was first author of 38. He is a leading expert on Navajo neurohepatopathy and has been cited for original peer-reviewed contributions to the study of childhood mercury poisoning, cerebral infarction as a complication of bacterial meningitis, and visual function of the neonate. He has also contributed 22 book chapters on neurotoxins, inflammatory or infectious neurological illnesses, hypoxic-ischemic brain injury, learning disorders, and ethical issues. 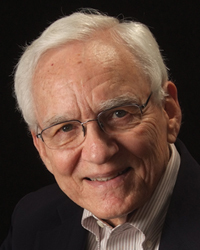 Snyder has been a pediatric neurology board examiner for 36 years and instrumental in defining the ethical standards of neurological practice and political advocacy pertinent to healthcare.